Libraries in the Arab world are numerous and have a long and distingished history. Today, they serve over 250 million people. To provide good service to this large population and improve other areas of librarianship and information services, the evaluation of library and information services becomes a necessity. 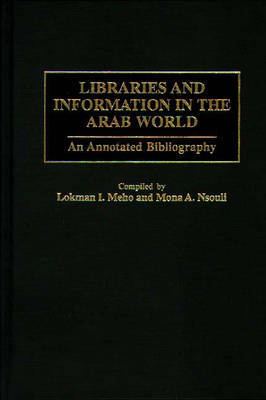 This is particularly true in the case of libraries in the Arab world, because locating such materials is not an easy task, given the lack of comprehensive and current bibliographies that cover Arab-related Library and Information Science literature. This bibliography fills this significant gap and provides an indispensable guide for any research in the field with over 1,000 entries covering books, scholarly and professional journal articles, chapters in books, doctoral dissertations, and conference papers. Items included are mainly in Arabic, English, and French; but some German, Swedish, Danish, Finnish, and Italian works are also covered. The bibliography includes author, title, and subject indexes.